Turvey experimented by photographing his wife’s foot in a high-heeled shoe. Image source. 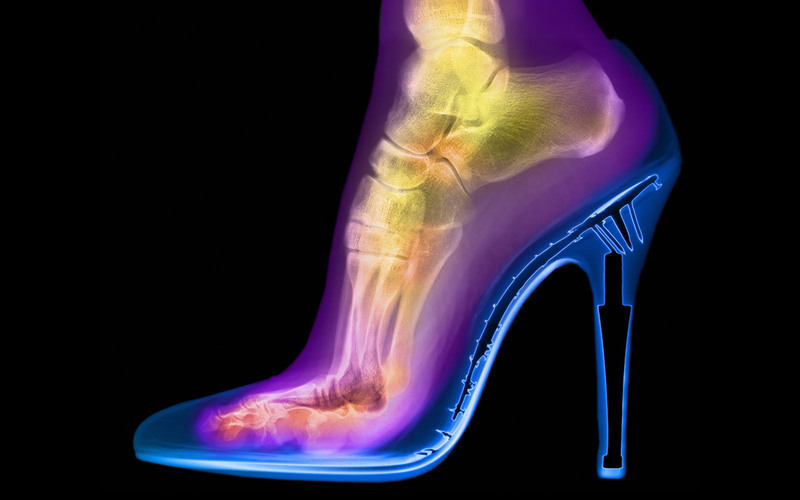 X-ray art is a fusion of visible light and x-rays to create what has been called a “xogram,” a term coined by British photographer and artist Hugh Turvey. He has a fascinating and beautiful portfolio of images, of which you can find a sample from National Geographic. A couple of my favorites are below. 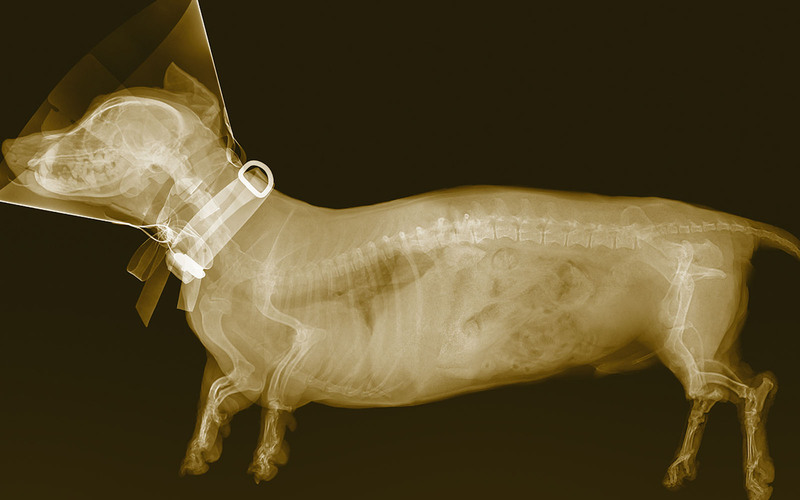 An x-ray image of a Dachshund wearing a protective cone. Sagittal image of a person drinking a glass of water. That is so interesting. I rarely heard of that. An Xray art is a kind a unique.